Over the 29 seasons that Bob Knight was head basketball coach at Indiana University, more than 100 students served on his staff as managers. Coach Knight relied on this “volunteer” staff for a wide array of duties that deeply involved them in the inner workings of the program. These students have gone on to become successful adults with highly productive careers in business, medicine, law, education and sports. 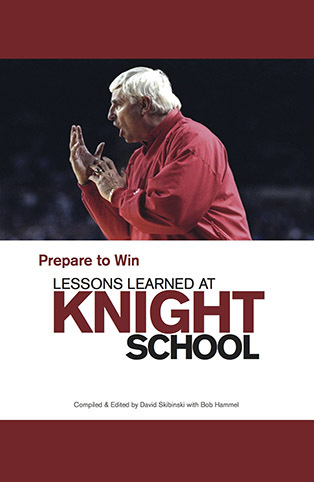 Prepare to Win is an accounting of the Lessons Learned at Knight School, chronicling the individual and collective lessons learned from Bob Knight in the countless hours spent as integral parts of Indiana Basketball. These personal perspectives of Bob Knight and Indiana Basketball provide a unique view into one of America’s greatest runs in college basketball, and how those experiences translated into success beyond basketball. All profits from this book will be contributed to charity, including the Bob Knight Library Fund.